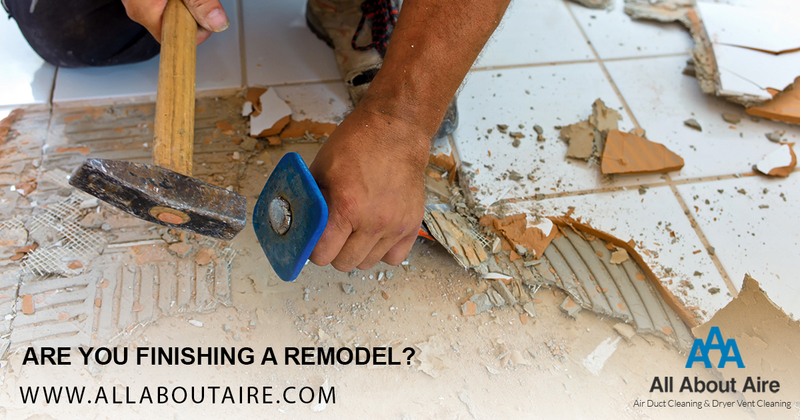 Did you move into a new home or even just remodel? Cleaning up the house is hard enough. Getting the dust out of the corners is challenging. And even super mom can only do so much. Leaving the dust to circulate through the vents in your home isn’t just annoying, it can have some real effects on your home and health. Yes, everyone enjoys a clean house but having clean air ducts brings it to a whole new level. Not only does cleaning your air ducts help reduce electricity bills by making the energy used more efficient. Keeping a cleaner system can reduce the maintenance and service needed on the unit. Lower the amount of dusting in the home since dust will not be pushed out of the vents everyday. But also allow the heating and cooling system a longer lifespan in the house. But there are several health benefits to having the air ducts cleaned. One possible health issue is a sinus infection. Inhaling every breath of air your dusty unit produces can lead to inflammation when inhaling particles that have been caught in the HVAC system. Does you or your loved ones suffer from seasonal allergies? Cleaning the vent system eliminates dust and mold spores along with pollen that can be triggering those eyes that just can’t stop watering or sneeze that you can’t seem to lose. But dust can also be causing those asthma attacks. If you or someone you know has been triggered to have more asthma attacks at home than anywhere else it is most likely do to the build up of dust, pollen, and mold along with countless other substances trapped circulating in your home. Respiratory infections are serious and getting sick more than usual can be traced back to what you are breathing in. Fungi and bacteria can camp out where your lysol does not reach. With every time you turn on the air system more germs are being pushed into the air you breath. You don’t need to worry about this. Let our team handle it. Contact All About Aire at 864-400-8229 to protect you from the dirt you can’t see and clean out your homes air vents. Next PostNext Is It Time To Clean Your Dryer Vent?